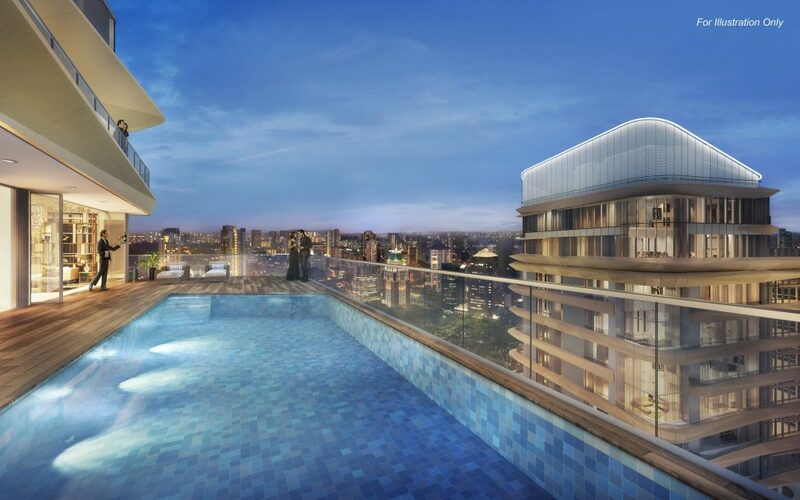 Property giant City Developments Limited (CDL) announced on Tuesday (15 May) that it sold a total of 83 units at New Futura, a 124-unit luxury freehold project at Leonie Hill Road in prime District 9. To date, 97 percent or 62 of the 64 units in the South Tower have been sold since Phase 1 was soft-launched in January. This includes the penthouse that was purchased for $36.28 million ($4,630 psf). About 72 percent of the buyers are foreigners and permanent residents (PRs), mostly from Asian countries like Malaysia, Indonesia, China and South Korea. For the 60-unit North Tower, the developer moved 21 of the 30 units released (70 percent) during the first weekend alone after Phase 2 was soft-launched on 11 May. The buyers were mainly foreigners and PRs. These comprised larger apartments costing up to $10 million, with units sold in Phase 2 achieving an average selling price of over $3,500 psf compared to $3,350 psf during the initial launch. “We are very pleased with the strong response for New Futura,” said CDL’s group general manager Chia Ngiang Hong. He added that New Futura is CDL’s most luxurious project to date. For instance, its two grand penthouses, touted as “bungalows in the sky”, are five-bedroom units that each span 7,836 sq ft across two floors, and offer panoramic views of the city. They also come with a 13m private pool, sauna and shower by the pool deck. Separately, CDL’s 861-unit The Tapestry in Tampines has sold 80 percent or 400 of the 500 units released after Phase 1 was launched in March at an average price of $1,360 psf, setting a new price benchmark for the area. The group also plans to soft launch the 190-unit South Beach Residences on Beach Road in Q3 this year, while its West Coast Vale site, which will have about 730 units, will be launch ready in Q4. For the latest property news, trends, resources and expert opinions, visit our Property News page. Home buyers looking for Singapore Properties may like to visit our Listings, Project Reviews and Guides.